SSL is no longer optional. Protect your customers. Maximise trust. Trust is vital to business. SSL and TLS are security protocols that protect your customers while they're dealing with you online. All web browsers can interact with secured web servers using the SSL/TLS protocols. But the browser and the server need an SSL Certificate to establish a secure connection. 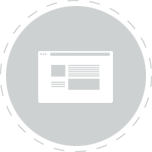 SSL certificates lay a foundation of trust by establishing secure connections between you and your customers, delivering visual browser cues, like a lock icon or a green bar. Secure Sockets Layer, better known as SSL, is a global standard security technology used for establishing encrypted links between a servers and a clienta. Most commonly, this is between a website and a web browser. This same mechanism is used to secure connections between mail servers and a mail clients such as ezyexchange and Outlook. SSL enables sensitive information like credit card numbers and login credentials to be transmitted securely. If a connection between a website and your web browser is not secured by an SSL certificate, data sent between them is sent in insecure plain text, leaving you vulnerable. If an attacker was to intercept the data being sent between your web browser and a web server, they will be able see, steal and maliciously use that information. 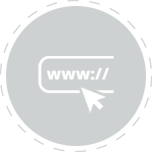 When a web browser attempts to access a website that is secured by SSL, the browser and the server establish an SSL connection using an "SSL Handshake". Three keys are used to set up the SSL connection: the public, private, and session keys. Any data encrypted with the public key can only be decrypted with the private key, and vice versa. Critically, an SSL certificate should be digitally signed by a trusted Certificate Authority (CA) like GlobalSign, Comodo, Let's Encryt or DigiCert, to name a few. Anyone can create an SSL certificate, but web browsers only trust certificates that come from an organisation listed in their Trusted Root CA stores. To become a Certificate Authority (CA), a company must comply with and be audited against security and authentication standards established by all browsers. An SSL Certificate issued by a CA to your organisation and its domain and/or website verifies that a globally trusted third party has authenticated your organisation’s identity. If the web browser trusts your chosen CA, the browser will then trust your organisation’s identity, letting your customers know that your website is secure and that they are safe to browse and enter their confidential information if needed. 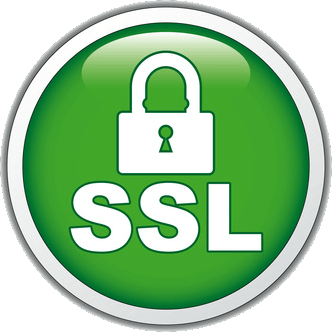 SSL secures customers' data on the Internet every day, especially during online transactions or when transmitting confidential information, so the lock icon that comes with an SSL-secured website, or the green address bar that's displayed with an Extended Validation (EV) SSL-secured website, have become just as important as web addresses begin with https rather than http. WANT TO RESELL OUR SERVICES AS YOUR OWN? If you represent a Managed Service Provider, IT support company, Web Host or similar and would like to resell our unbranded services as your own, make an enquiry about becoming an ezyreseller. 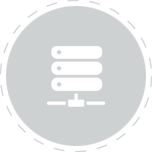 We use service-specific, "generic" URLs such as hostingserver.net.au to "grey label" each service, making them perfect for you to start reselling in minutes. So send us your details and we'll be in touch pretty quickly. Provide your "own" services to your valued clients. They'll never know we're here. Your enquiry about becoming an ezyreseller has been sent successfully. Someone will be in touch with with you very soon.